Prof. dr. ir. Robert van Liere is a senior researcher at Center for Mathematics and Computer Science (CWI) in Amsterdam, where he heads the Visualization and Virtual Reality research group. He also holds a part-time position as full professor at the Technical University in Eindhoven. Prior to joining CWI in 1985 he worked at TNO-IBBC, a Dutch institute for building and construction research in Rijswijk. Robert received a Ph.D. in computer science from University of Amsterdam and a master degree in computer science from University of Delft. His research interests involve interactive visualization, virtual reality, and human-computer interaction. He has served on numerous program commitees, has been involved in the organization of various workshops / symposiums / conferences, and is a member of the IEEE and EuroGraphics. Robert was born in Beirut, Lebanon. He is fortunate to have lived and visited many countries and seen many different cultures. Proir to moving to the Netherlands, he lived in Syria (1956-1964), Lebanon (1964-1967) and Thailand (1967-1974). His hobbies include transcontinental travelling and biking. 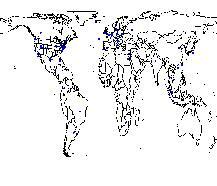 The blue dots on the map in the left image below show the capitals of the countries/states which have been visited. 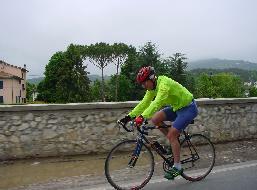 The right image is a recent picture on the bike somewhere close to Lucca, Italy. (click on the images to obtain a larger view). I was on the Dutch television program "De Digitale Revolutie" broadcasted on Saterday 14 April, 2001. Click on the image above to play the 5 minute MPG file (size 45 MBytes, which can take a while to download). This interview shows some of the Virtual Reality work we are doing. At CWI, I head the Visualization and Virtual Reality group. This group studies those mechanisms that support the development of visualization techniques at the systems and user levels. These techniques include those found in virtual reality and and data visualization. The applications studied originate from joint projects with partners, who bring in the application domain expertise. An example is the Bio-VR project with cell biologists from the University of Amsterdam. 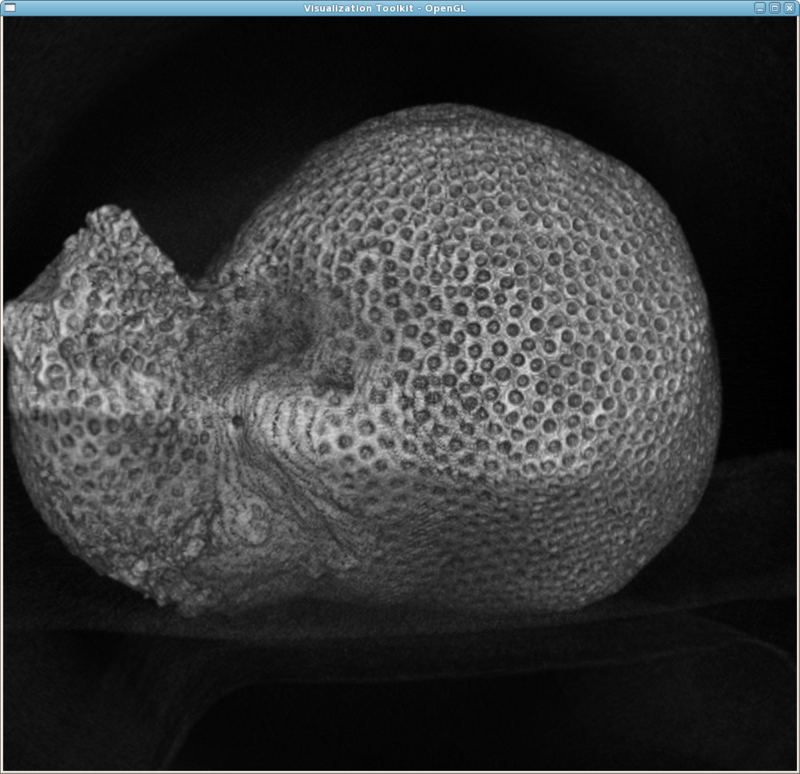 Recent developments in laser scanning confocal microscopy have allowed biologists to obtain high quality 4D-images of biological objects, such as cells and tissues. A fundamental problem in understanding cellular structures is the inherent complexity and spatial relationships of these structures. We have studied the idea of exploring cell structures in a virtual environment. The combination of stereoscopic graphics and head-coupled displays can aid in the unambiguous display of complex cell structures. Interaction techniques coupled to spatial input devices provide the users a natural means of directly manipulating with the underlying data. from the user's perspective, how does the application of interactive visualization result in a more effective modeling, computation and analysis cycle? at the systems level, how can the development costs of interactive visualization applications be lowered? 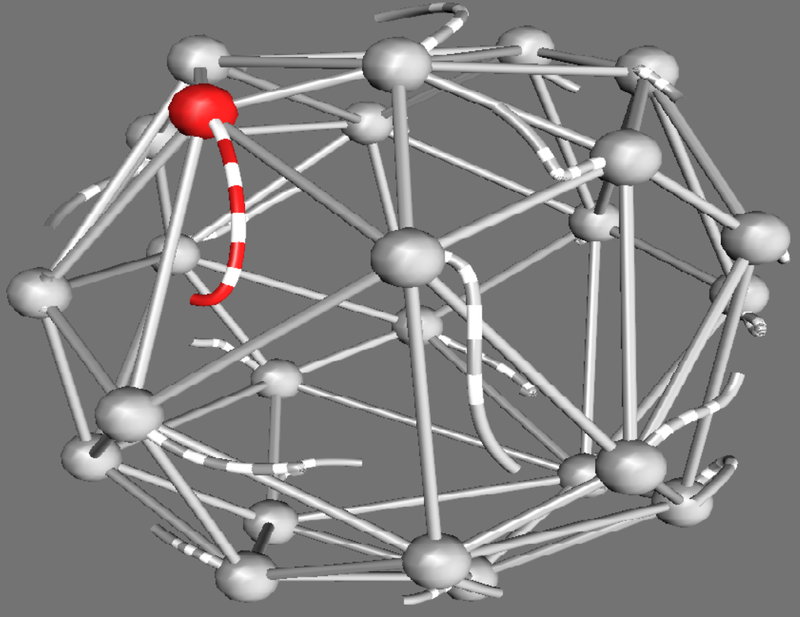 Solutions to the resulting research questions involve the development of innovative techniques for the visualization of and interaction with the underlying data, as well as the development of innovative techniques for the simplification of resulting visual representations. I believe that the development of small-scale prototype systems is essential to the understanding of the problems associated with visualization research, although the research results will extend beyond the building of proof-of-concept implementation systems. Click here for more information on our vacancies. Here is a selection of some projects. Click on an image for the video. Warning: some videos can be very large. "GraphTracker: A Topology Projection Invariant Optical Tracker" F. Smit, A. van Rhijn, R. van Liere. Computers and Graphics 2007, vol 31, nr 1, Feb 2007. "Analyzing Complex FTMS Simulations: a case study in high-level visualization of ion motions" W. Burakiewicz, R. van Liere. IEEE Transactions on Visualization and Computer Graphics (TVCG), Vol 12 nr 6, pp 1037--1044, 2006. "Visualization and analysis of large data collections: a case study applied to confocal microscopy data" W. de Leeuw, P. Verschure, R. van Liere. IEEE Transactions on Visualization and Computer Graphics (TVCG), Vol 12 nr 6, pp 1051--1058, 2006. "GraphSplatting: Visualizing Graphs as Continuous Fields" R. van Liere and W.C. de Leeuw. IEEE Transactions on Visualization and Computer Graphics (TVCG), vol 9, nr 2, pages 206-212, 2003. "Multi Level Topology for Flow Visualization" W.C. de Leeuw and R. van Liere. Journal for Computers and Graphics, volume 24, number 3, pages 325-331, 2000. "A Survey for Computational Steering Environments" J. Mulder, J. van Wijk and R, van Liere. Future Generation Computer Systems, Vol. 15, nr. 2, 1999. "Computational Steering in the CAVE" J. Mulder, R. van Liere, and J. van Wijk. Future Generation Computer Systems, Vol. 13, nr. 3, 1998. "Non-Uniform Crosstalk Reduction for Dynamic Scenes" F. Smit, R. van Liere. IEEE Virtual Reality 2007 , March 2007. "GraphTracker: A Topology Projection Invariant Optical Tracker" F. Smit, A. van Rhijn, R. van Liere. Eurographics Symposium on Virtual Environments 2006, May 2006. "An Interactive Visualization System for Quantifying Coral Structures" C. Kruszynski, R. van Liere, J. Kaandorp. Eurovis 2006, May 2006. 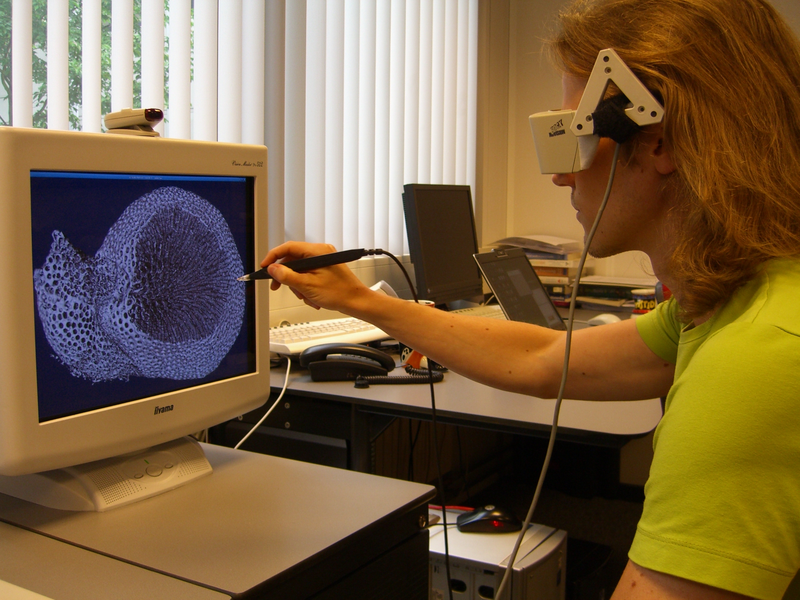 "A Multimodal Virtual Reality Interface for VTK" A. Kok, R. van Liere, Multimodal Interaction for the Visualization of Scientific Data, ICMI 2005 , October 2005. "Interacting with Molecular Structures: User Performance versus System Complexity" R. van Liere, A. Kok, J-B Martens, M. van Tienen. IPT / EGVE 2005 , October 2005. "Quantifying Differences in Skeletonization Algorithms: a Case Study" C. Kruszynski, R. van Liere, J. Kaandorp. IASTED, Visualization, Imaging, & Image Processing (VIIP 2005) , September 2005. "Comparing Three PCA-Based Methods for the 3D Visualization of Imaging Spectroscopy Data" A. Broersen, R. van Liere. IASTED, Visualization, Imaging, & Image Processing (VIIP 2005) , September 2005. "Transfer Functions for Imaging Spectroscopy Data using Principle Component Analysis" A. Broersen, R. van Liere. Proceedings Eurographics / IEEE VGTC Symposium on Visualization (EuroVis 2005) , June 2005. "An Analysis of Orientation Prediction and Filtering Methods for VR/AR" A. van Rhijn, R. van Liere and J. Mulder. Proceedings IEEE Virtual Reality 2005 , March 2005. "Experiencing 3D Interactions in Virtual Reality and Augmented Reality" J-B Martens, W. Qi, D Aliaksyeu, A. Kok, R. van Liere, EUSAI, European Symposium on Ambiant Intelligence , November 2004. "An Experimental Comparison of Three Optical Trackers for Model Based Pose Determination in Virtual Reality" R. van Liere, A. van Rhijn, Eurographics Symposium on Virtual Environments , June 2004. "Tangible Devices for Two Handed 3D Interaction" R van Liere, J Mulder Workshop Beyond Glove and Wand Based Interaction, IEEE VR2004 , March 2004. "Co-location and Tactile Feedback for 2D Widget Manipulation" A.J.K. Kok, R van Liere IEEE VR2004, March 2004. "Search Space Reduction in Optical Tracking" R van Liere, A van Rijn IPT/EGVE 2003, May 2003. "MCMR: A Fluid View on Time Dependent Volume Data" W.C. de Leeuw, R. van Liere EG/IEEE Vissym'03, May 2003. "Comparing Two Methods for Filtering External Motion in 4D Confocal Microscopy Data" W.C. de Leeuw, R. van Liere EG/IEEE Vissym'03, May 2003. "Optical Tracking Using Projective Invariant Marker Pattern Properties" R. van Liere, J.D. Mulder IEEE VR2003, March 2003. "Virtual Reality on a Linux Desktop" R. van Liere, J.D. Mulder Proceedings of NLUUG 2002, October 2002. "BM3D: Motion Estimation in Time Dependent Volume Data" W.C. de Leeuw, R. van Liere. Proceedings of IEEE Vis2002, October 2002. "Personal Space Station" J.D. Mulder, R. van Liere Proceedings of VRIC 2002, Laval, June 2002. 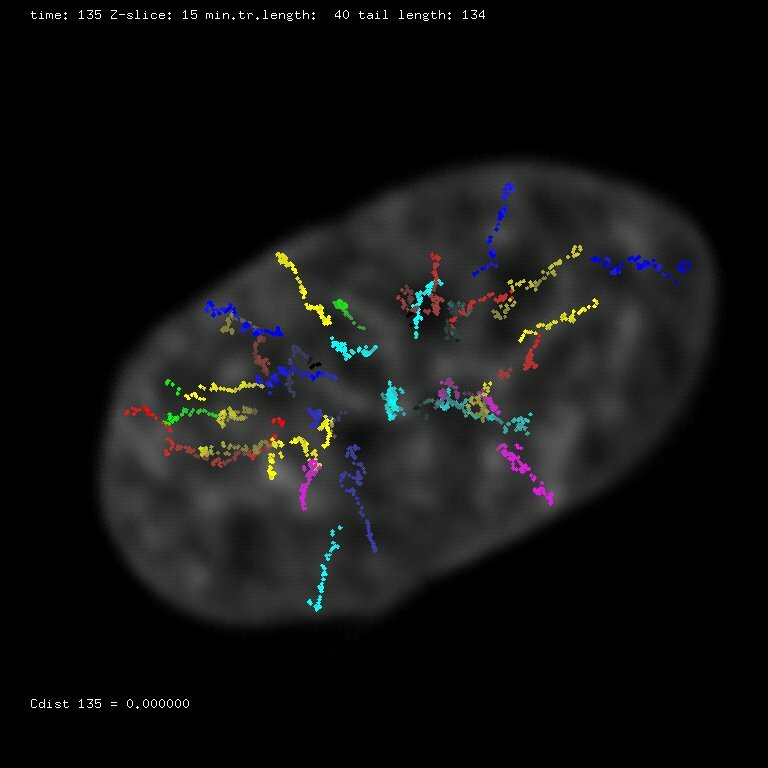 "Chromatin decondensation: a case study of tracking features in confocal data" W.C. de Leeuw and R. van Liere. Proceedings of IEEE Vis2000, San Diego, October 2001. "Interactive Visualization of Multidimensional Feature Spaces" R. van Liere and W.C. de Leeuw and Florian Waas. Proceedings Workshop on New Paradigms for Information Visualization, Washington DC, November 2000. "Fast Perception-Based Depth of Field Rendering" J. Mulder and R. van Liere. Proceedings of ACM VRST2000, Soeul, Korea, October 2000. 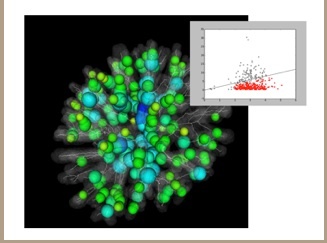 "Interactive Visualization of Protein Dynamics" Henk Huitema and R. van Liere. Proceedings of IEEE Vis2000, Salt Lake City, October 2000. "Visualization of Time Dependent Confocal Microscopy Data" W.C. de Leeuw and R. van Liere and P Verschure and A Visser and E Manders and R van Driel. Proceedings of IEEE Vis2000, Salt Lake City, October 2000. "Time Critical Computing and Rendering of Molecular Surfaces Using a Zonal Map" H Huitema and R. van Liere. Proceedings EG Workshop on Virtual Environments, pages 115--124, 2000. "Virtual Fekete: a case study in perturbing complex systems" R. van Liere, J. Mulder, J Frank and J de Swart. Proceedings of IEEE VR 2000, pages 189-196, 2000. "Enhancing Fishtank Virtual Reality" J. Mulder and R. van Liere. Proceedings of IEEE VR 2000, pages 91-98, 2000. 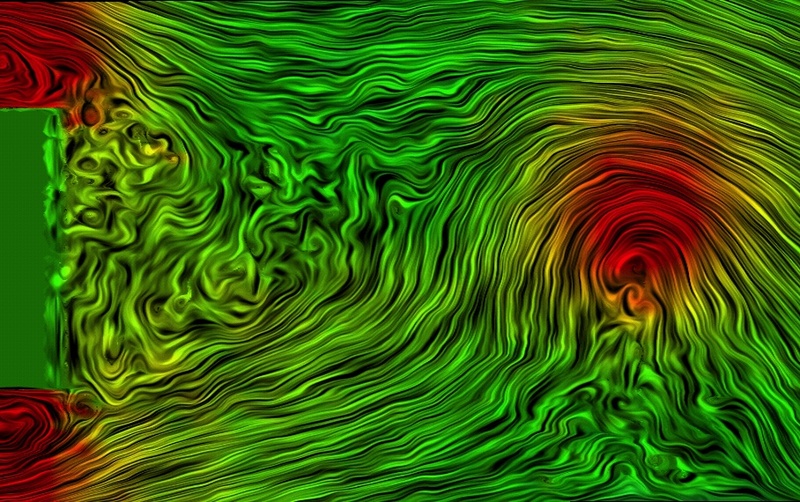 "Methods for Interactive Visualization of Large Flow Data Sets" W.C. de Leeuw and R. van Liere. Proceedings of SPIE Volume 3960: Visual Data Exploration and Analisys VII, pages 260--267, 2000. "Collapsing Flow Topology Using Area Metrics" W.C. de Leeuw and R. van Liere. Proceedings of IEEE Visualization'99 Conference, pages 349--354, IEEE Computer Society Press, 1999. "A Distributed Blackboard Architecture for Interactive Data Visualizaiton" R. van Liere, Jan Harkes and W.C. de Leeuw. Proceedings of IEEE Visualization'98 Conference, D. Ebert, H. Rushmeier and H. Hagen (eds. ), IEEE Computer Society Press, 1998. "Comparing Spot Noise and LIC" W.C. de. Leeuw and R. van Liere. Proceedings of IEEE Visualization'98 Conference, D. Ebert, H. Rushmeier and H. Hagen (eds. ), IEEE Computer Society Press, 1998. 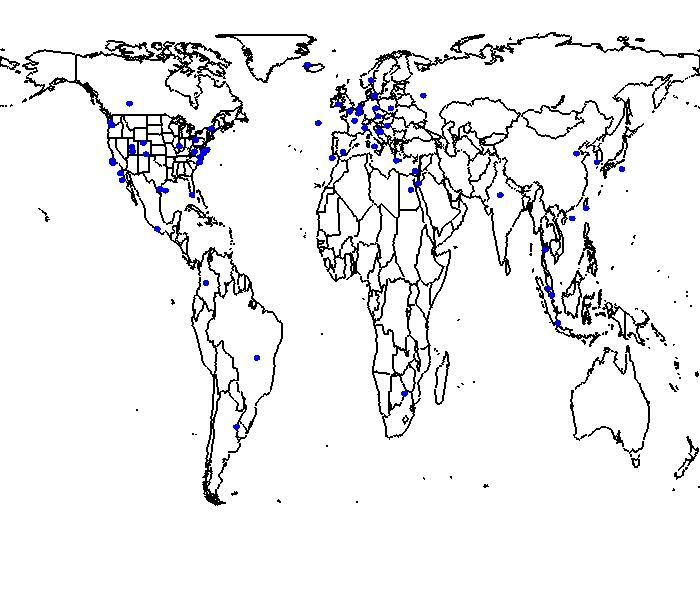 "Steering Smog Prediction" R. van Liere and J. van Wijk. High-Performance Computing and Networking, B. Hertzberger and P. Sloot (eds. ), Springer-Verlag, 1997. "HyperSlice" J. van Wijk and R. van Liere. Proceedings of IEEE Visualization'93 Conference, G.M. Nielson and D. Bergeron (eds. ), IEEE Computer Society Press, 1993. "A Structure for Transportable, Dynamic Multimedia Documents", D Bulterman, G van Rossum and R. van Liere, Proceedings of the Summer 1991 USENIX Conference, Nashville, TN, pp137-155.